I have many identities, as most of us do, if we think about it long enough. I identify as female, I identify as a swimmer, I identify as a professional and a director. However, growing up, I didn’t identify as disabled. That may seem a strange statement, given that I was born in the 1980s with congenital deformities: missing my left leg from the knee and my left forearm from below the elbow. My right foot was also deformed slightly, arthritic and with four toes. I spent most of the first 26 years of my life trying to hide my disability and acting “normal”. In fact, I became a master of illusion, with barely anyone noticing any difference through my behaviour and the way I dressed. The idea of “normal”, as Lennard J Davis explored in his book “Enforcing Normalcy”, has a historical precedent connected to the idea of a uniform or standardised approach to what it means to be a human being. 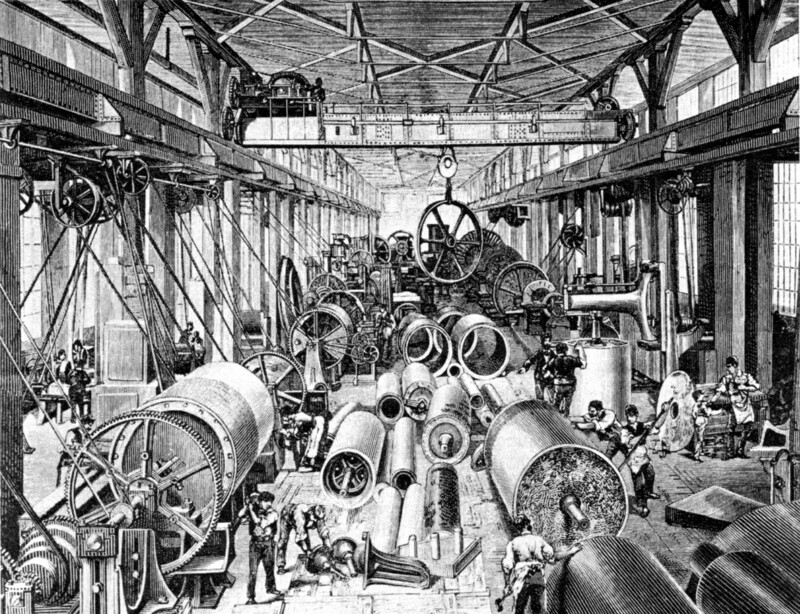 In the First Industrial Revolution, where production and the global economy were linked to physical work, the idea of being "normal" excluded the less physically “able” worker. The very concept of normal is strange to me, as are the polarised words “able” and “disabled”, but you can argue, as Lennard Davis does, that you can’t have one without the other. In fact, if the world had developed slightly differently, with disabled people in the majority and non-disabled people in the minority, one could imagine that our cities, towns, environments may look completely different to how they look today. Would a collaboration between the two have created better living environments in cities, I dare to ask? I appreciate that disability as an identity is tricky, but it is simply language and words. Who is to say that normal is normal? Or that able is able? What I mean to emphasise is that we are all individuals, we are all wonderfully unique and we all have a contribution to make. We will all experience differing levels of ability throughout our lives and none of us will ever be perfect. Even if we were, would that create an ideal world? It is however understandable why, growing up in the 80s and 90s, I felt the need to “fit in” and be seen as an equal to everyone else, because we were bombarded with images of the average or standard human being on a daily basis. I feared being viewed in a negative way. I might be seen, missing limbs and with difficulties in my mobility, as disadvantaged and less able than someone with two arms and two legs. And so, I grew up throwing myself at life to prove to everyone that I was the same or equal to the “standard”. I finished my schooling with top grades, I got the highest grade at University in three languages, I studied the trumpet to the highest level and played in jazz bands and orchestras. I then moved onto sport in my quest to prove myself in any way I could, competing against non-disabled swimmers in local events and trying to beat them, my one arm and leg to their four limbs. It was never enough, because ultimately, I was still looking for something that was missing. Then something happened to me. 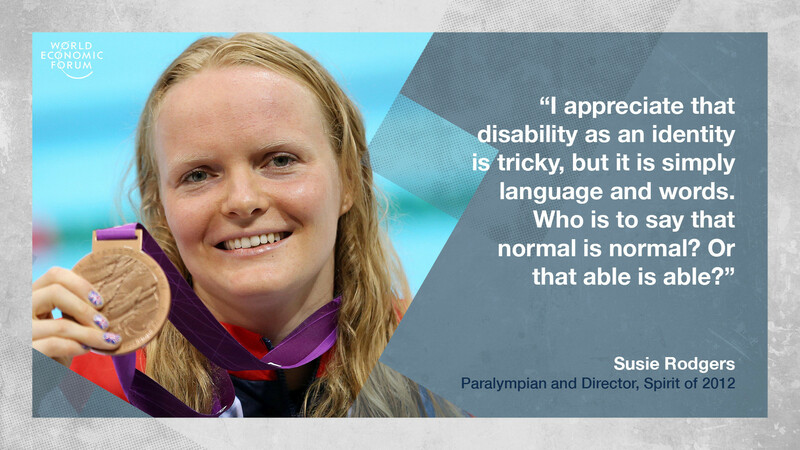 I started swimming at a local disability swimming club and started racing against other people with differing impairments. My mind was suddenly open to this incredible group of human beings (I use the word “group” because non-disabled coaches and staff were in the minority). I witnessed tenacity, strength of will, a fierce competitive drive in some of the athletes to rival any I had met before. I was forced to confront my own views of myself, to see myself within a new group, where I could relate to people about our problem-solving skills, our lateral thinking when approaching difficult tasks if we had missing limbs, or used a wheelchair, or were visually impaired… What happened to me through sport was a complete transformation of my concept of identity. I stood on the racing blocks at the London 2012 Paralympic Games, in front of 17,500 spectators screaming my name to the point where the hairs were standing on end all over my body and I felt like someone had just plugged me into an electrical socket. I gave interviews on camera without wearing my prosthetic arm, my prosthetic leg completely on show. I couldn’t hide my disability anymore and in fact I was celebrated for what I achieved because of those disabilities. What followed was a magical journey in Paralympic sport that led me not to prove myself equal any more, but to embrace my differences as changing the course of my life for the better. Put simply, my life has been enhanced by the challenges associated with my disability. I am absolutely proud now to say that I identify as a disabled woman and I hope this will in some way act as a message to women with disabilities in the world who, as reported by the UN Convention on the Rights of Persons with Disabilities (CRPD), are some of the most discriminated against in the world. There is simply no excuse for any country not to ratify the Convention; it isn’t asking for perfection, it is just asking for countries to take steps forward in including people with disabilities in all aspects of society. When reading each of the 17 UN Sustainable Development Goals (SDGs), every one of them has a thread of disability running through them and the word “disability” is mentioned regularly when associated with poverty reduction, access to clean water, dealing with the impact of climate change and so on. As the CRPD is referenced in many of the SDG Articles, my ask therefore to the members of the UN High-Level Political Forum on Sustainable Development, is to keep disabled people in mind during the assessment of the multitude of targets and goals and when looking at progress against them. If a country cannot support its own community of people with disabilities, then they are very unlikely to be able to meet a lot of their targets. As a Young Global Leader recently selected by the World Economic Forum, I have listened to Professor Klaus Schwab speak about his concept of the Fourth Industrial Revolution in person. Under the 4IR, we are rapidly moving away from the old models of mass production, while technology is driving new approaches to employment and the economy. We will all be finding our place in an ever-changing context. The Fourth Industrial Revolution offers us a chance to be truly inclusive through individual approaches to flexible working so that people can lead independent lives, access education, higher education opportunities and jobs. Let us all collectively not forget the power and importance of diversity and what it can bring to society. With today's technology, time is up for business, governments and societies not to be inclusive of people with disabilities at every level any more. There is no excuse.